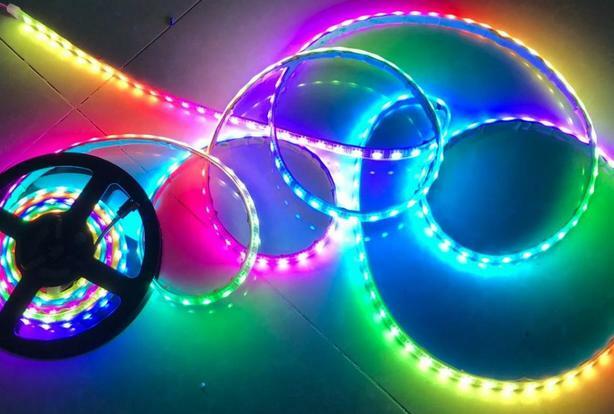 Flexible full color led strip with IC adressable for each led/pixel. 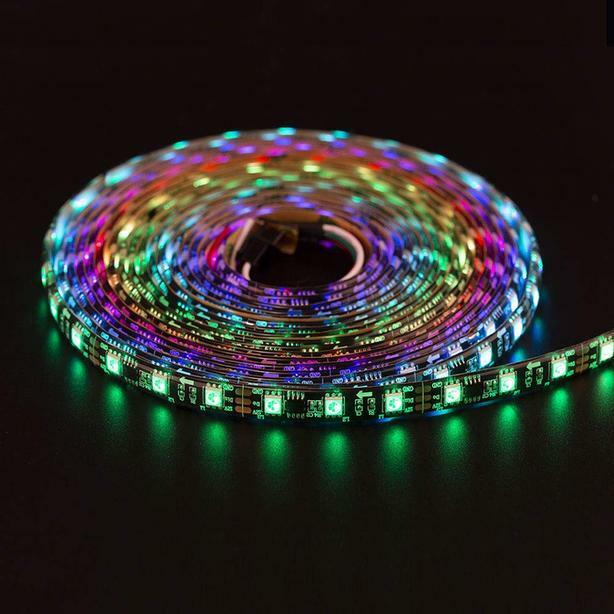 60pcs SMD5050 rgb Leds Per meter/3.28ft, each leds can be single adressable, IC WS2812b. Power DC5V, 14.4w/meter/3.28ft, 5 meter/16.4ft per roll, IP 68 waterproof. Each pixel (led) can have its own color and brightness. You can control them individually and set them to any color or animation you want. 256 gray levels adjustable and 24-bit color display. 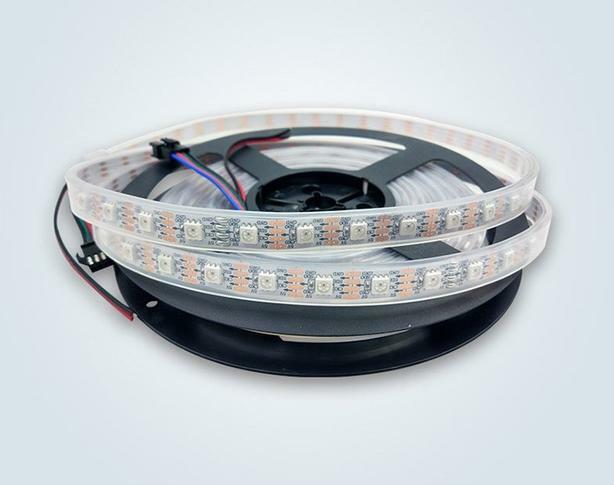 Each LED can be cut and welded freely along the cutting line to meet different length requirements. There are self-adhesive tape on its back, you can easily install it on any dry and flat surface. Flexible design, you can bend it to any shape you want. It can be programmed with Arduino, FastLED library, Raspberry Pi, Fadecandy, T1000S, K1000C etc. 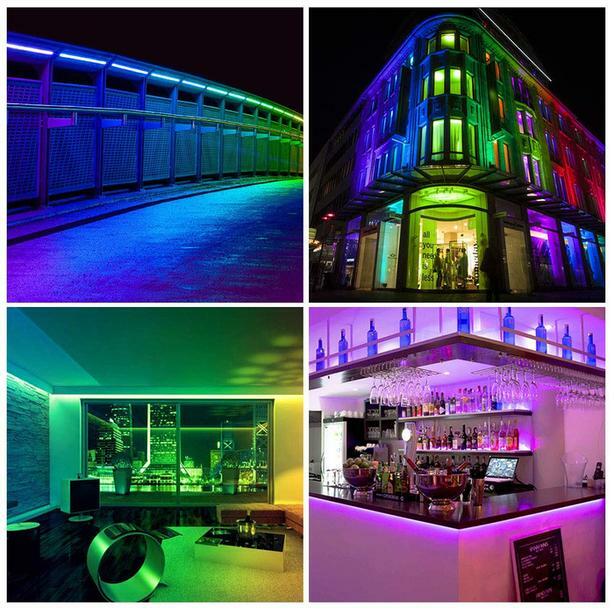 It can be used to make led screen, led wall, advertising board and widely applied to hotel, KTV, bars, Outdoor advertising signs, wedding party lighting, home and car decoration, city skyline, building outline and so on.